1. This is a 2 channel solid state relay module. 2. Output with resistive fuse 240V 2A. 3. Support DC voltage power supply. 4. 5V low level trigger. 5. Widely used in PLC control, home intelligent control,industry, electronic DIY etc. 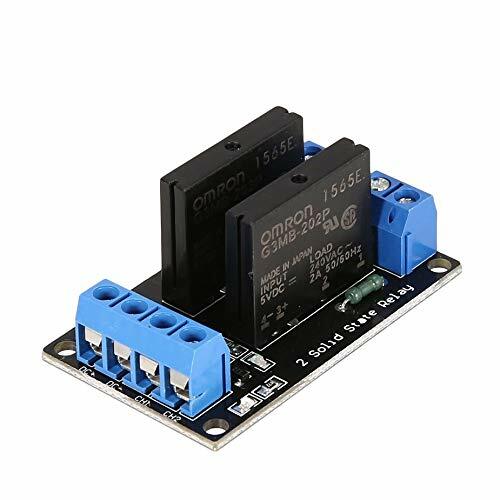 The 1 channel solid state relay module is equiped with resistive fuse 240V 2A, 5V low level trigger, widely used in PLC control, home intelligent control,industry electronic DIY etc.